The race starts with the approximate 20 mile stretch to Ojos Negros, the course heads south from Ojos down the ‘Goat Trail’ to Valley de Trinidad and around Kiliwas on a new trail that will drop into Kiliwas Wash before going back to Highway 1 on Mike’s Road. From San Matias to San Felipe and the Sea of Cortez over a new trail that will start at Morellia Junction all the way to Zoo Road, skipping the infamous bad whoops. South of San Felipe the course winds to Coco’s Corner running a new trail before Checkpoint 1 at Coco’s. 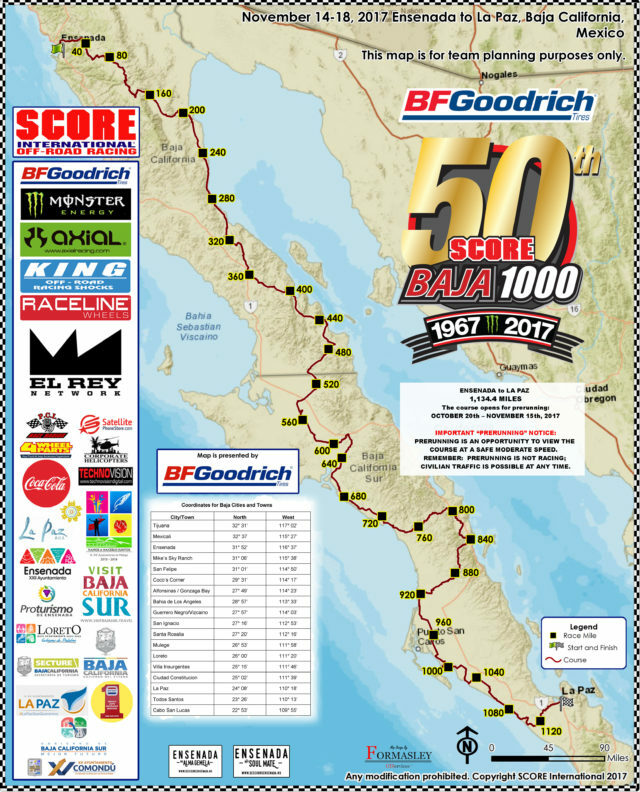 The course then goes to Bahia de Los Angeles and south to Mujica where Checkpoint 2 is located before crossing Highway 1 again to go to the Pacific side of the course. Past San Ignacio the course goes on another new trail to El Datil which skips the silt and highway on the way to Scropion Bay, La Purisma and San Isidro. Before Loreto will be Checkpoint 3 and then a run up to San Javier Mission before heading to Checkpoint 4 at the highway crossing to Lopez Mateos. The course will go behind Ciudad Constitution to Santa Rita where another new trail goes to Loma Amarilla where the final Checkpoint (No. 5) will be located. 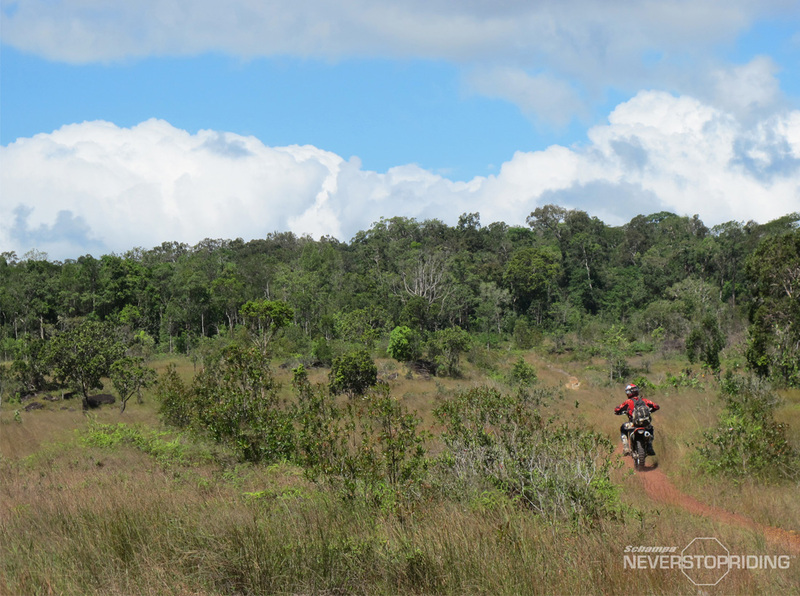 Getting closer to La Paz, the course will go through the ‘silty’ Santa Fe area and on to Punta Conejo. 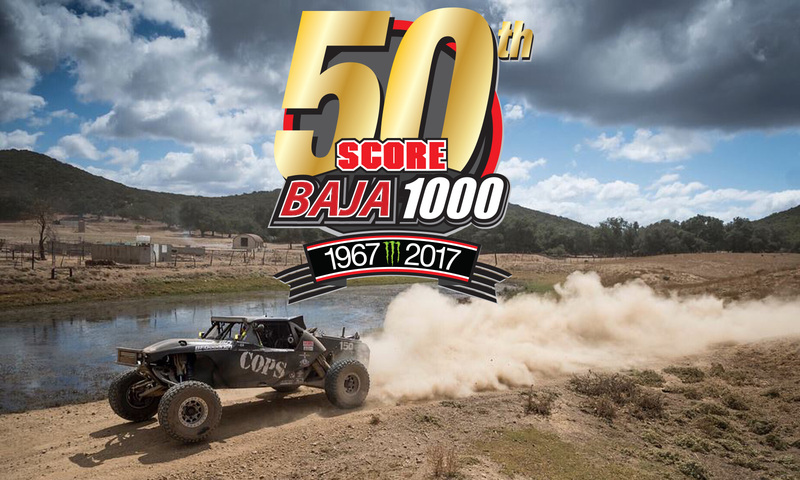 The last stretch of the race course travels down by the ‘Waterfall’ before La Paz and at El Centenario and the final pavement section to the finish line adjacent to the Grand Plaza Hotel, the SCORE race headquarters on the outskirts of La Paz.